Fill your glass with several mint leaves. Muddle gently to release the concentrated essential oils in the mint leaves so they can infuse the vodka. Add frozen mango and pineapple pieces. 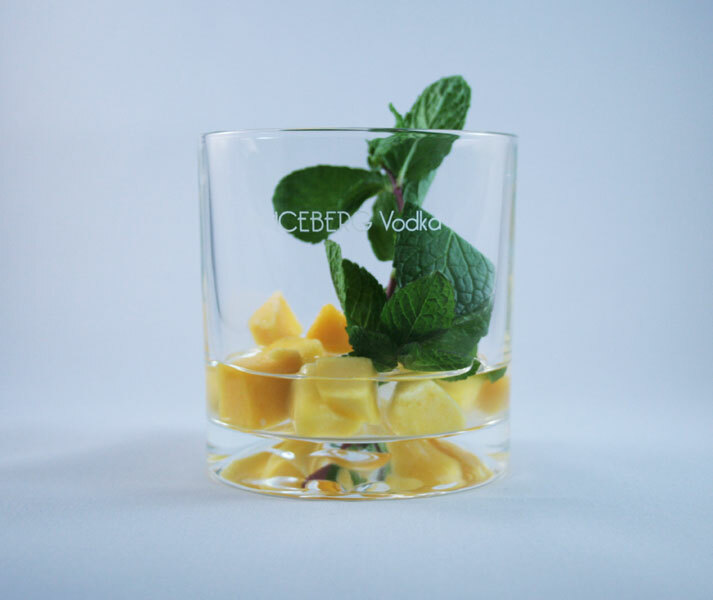 Pour 1 oz / 30 ml Iceberg Vodka into your glass and gently stir.